Tooth loss can lead to adverse conditions, even if it’s just one tooth. Not only can it hinder your ability to use your mouth normally, it can affect your jaw and facial bone structure. This leads to changes in the look of your face. This is especially true when multiple teeth are missing. When dental implants are not an option, dentures are often the solution. Dentures are actually all different kinds of prosthetic teeth. For instance, there’s a full denture, a partial denture (often referred to as a “bridge”), and even overdenture that are installed over dental implants. Dentures are generally of two basic types – fixed and removable. The removable ones can be taken out. A fixed denture is not removable, except by a dentist. Removable dentures used to be the only kind of prosthetic teeth. 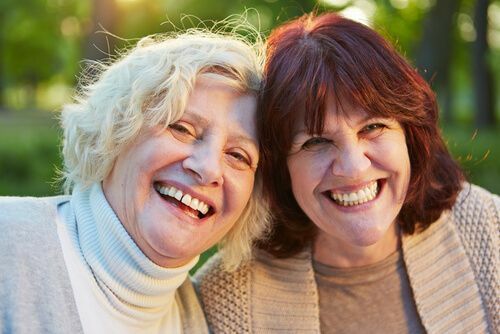 Sometimes they’re the best solution for missing teeth, but the problem is that they can be unstable – you’ve heard the embarrassing stories about dentures slipping or even falling out when you’re enjoying a meal with someone you’re trying to impress. They can also require a lot of maintenance, in terms of re-lining as your mouth changes and your jaw loses bone mass. An Implant overdenture solves this problem, because they prevent bone loss. They’re permanently fixed in your mouth, and they provide the support and stimulation that’s needed to retard bone loss. Additionally, you never have to worry about using a denture adhesive. Implant overdentures work every bit as well as your natural teeth. That said, though, we have to point out that an implant overdenture is more expensive than removable dentures, so they might not be suitable for everyone. And removable dentures, properly fitted, usually won’t cause you much trouble. Is it really possible to have a new smile created in just a single day? In many cases, it is. And this is not like those supposed “dentures” that you’ve read about on-line, which are really nothing more than cheap cosmetic teeth that are not suitable for normal activities like… well, like eating. What is the point of a denture if you can’t eat the foods you like? Keep in mind, dentures in a day do not work for everyone, but Dr. Eric Spellman can meet with you and determine if you are a good candidate. Then he will take some impressions of your mouth, and create a custom denture that are exactly right for you. Even if you need to have teeth removed, you can still leave the same day with a full set of dentures, made from premium materials that are designed to create a denture that fit just right and will deliver years of use. Of course, as your gums begin to shrink, you will have to come back for adjustments and re-lining, the same as you would with any other type of denture. 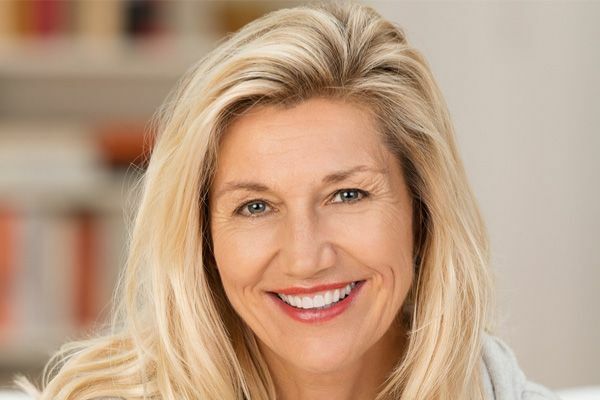 If you’d like to learn more about full or partial dentures, implant overdenture, or dentures that can be created in a single day, contact Dr. Eric Spellman in Larchmont at 914-618-3400. You can have the smile you want, and full functionality with the range of denture solutions that are available.